Son Stabs Parents in Venice: 1-10-13 - Yo! Venice! Update: 5’11, 240lb suspect Zeke Greenbaum was booked for Felony Assault with a Deadly Weapon at 2:50pm today. He is being held on $30,000 bail. 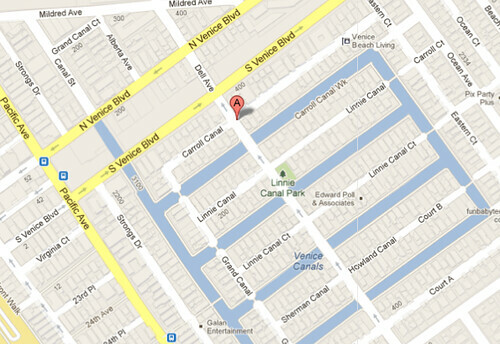 At approximately 7:30 this morning, a 25 year old male attacked both of his parents in the 400 block of Carroll Canal. Witness “OT” was jogging along Carroll Canal when he heard a faint cry for help.”OT” investigated and found a woman lying in a pool blood. “The woman said her son had done it to her and was inside killing her husband, please call 911”. A source at the LAPD says it appears that the son attacked his father first, with a knife. The son then turned on his mother and stabbed her in her upper body, in the face, neck and arms. After stabbing his mother the son apparently went back to attack his father again. It is not clear when, but the son also received non-life threatening injuries during one of the melees with his father. LAPD reports that the Mother is presently at a local hospital in serious condition. It is not believed that her injuries are life threatening at this point in time. LAPD reports that the father has been treated for his injuries. 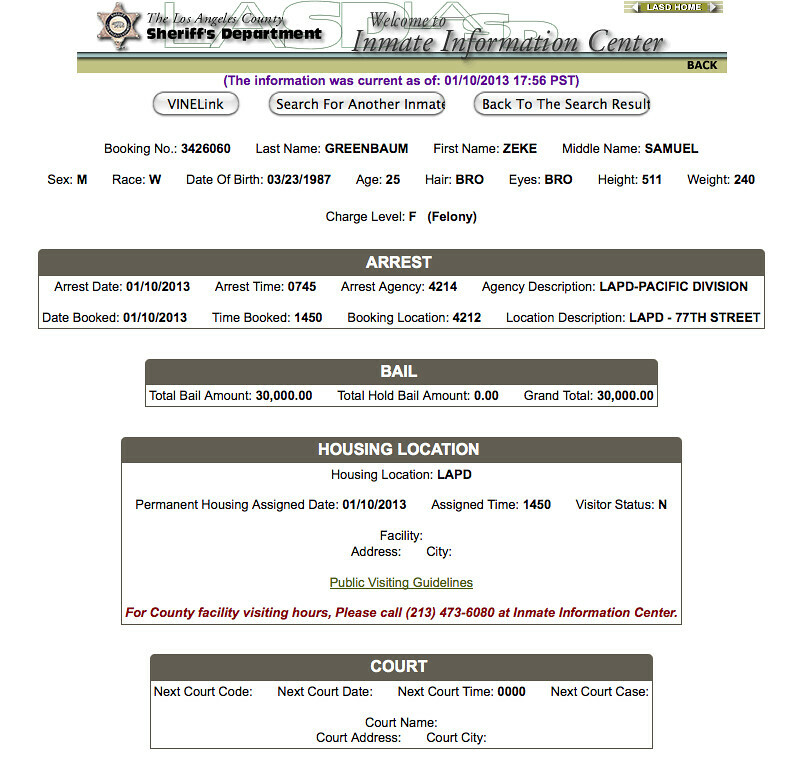 LAPD reports that the son was arrested, but has not yet been booked. The son is being treated for non- life threatening injuries. It is not clear at this point if the attack was related to emotional issues/ mental illness or if the son was under the influence. The investigation is ongoing. Update: 3:30pm – The son is out of the hospital and being booked right now.